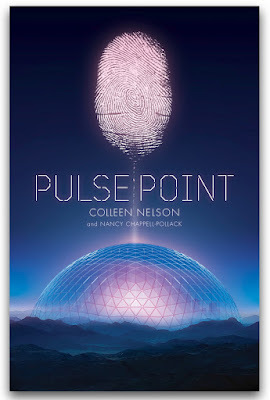 Yesterday I reviewed Colleen Nelson's newest YA novel, Pulse Point, which she wrote with Nancy Chappell-Pollack. Today Colleen Nelson with input from Nancy Chappell-Pollack answers a few of my questions about the book, their writing process and the future for Pulse Point. HK: Pulse Point is totally unlike any YA novel you have written to date both in genre and in its collaborative authorship, and I’d really love to delve into this. First, how did you come to write the novel with your sister and what did you find most challenging as well as most advantageous about writing Pulse Point as part of a team? CN: Pulse Point began as an idea that Nancy had for a screenplay. Her background is in screenwriting and theatre, so we pitched it to a screen writing contest. I wrote the ‘treatment’ which is a type of synopsis used in the television/movie industry. We didn’t win, but the idea was too good to let go. Nancy and I were both invested in the idea, so we decided to work on it together. One of the challenges writers face is the isolation factor. For hours every day, I sit in a room by myself and tap away on my laptop. Sometimes writing feels like a very slow, uphill slog and what’s worse, I have no idea if what I’m writing is any good! It was motivating to send Nancy a chapter and get her feedback on it. She knew the characters as well as I did and knew the direction of the story. We collaborated on every aspect of the book, even though I did the bulk of the writing. 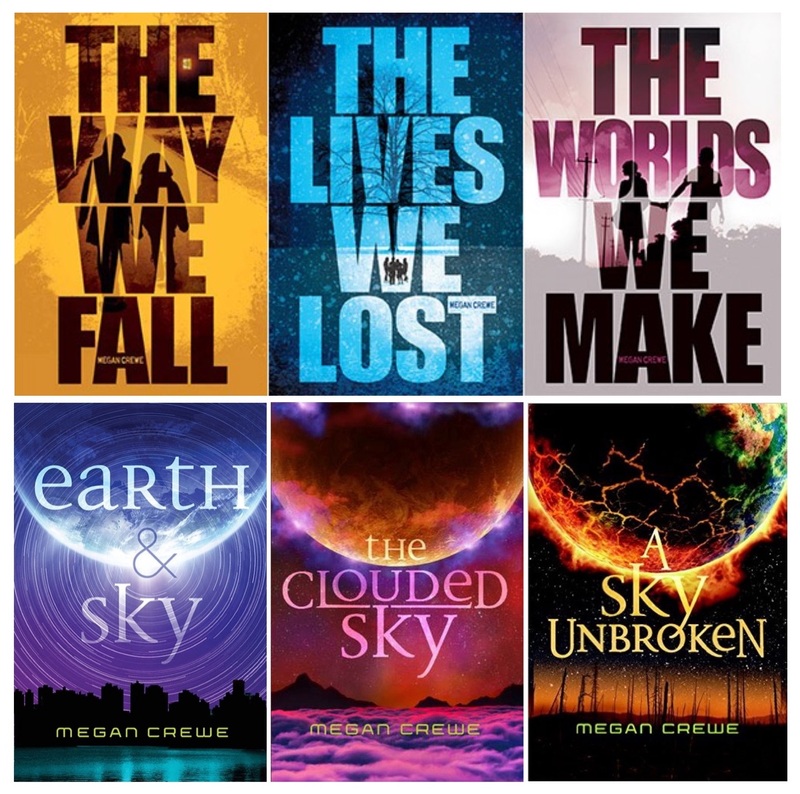 As for the genre, writing dystopian wasn’t as different from realistic YA as you’d expect. Pulse Point might have a different setting and the characters face unusual challenges, but they still have to be relatable. Just like in realistic fiction, Kaia had to deal with conflicts with friends, family and figuring out who she is. We tried to remember it is the characters, not their dystopian world, driving the story. HK: Second, have you always wanted to write speculative fiction or did the idea for Pulse Point originate with your sister Nancy Chappell-Pollack? CN: The idea was Nancy’s. It started with a ‘what if’. What if a pulse point, implanted in a finger and meant to control a person’s life, suddenly malfunctions? How would they react to this sudden freedom? Other than continuing on with Kaia’s story, I don’t have any plans to write other speculative fiction. HK: Speaking of speculative fiction, do you consider Pulse Point more science fiction or dystopian, and why? CN: Nancy and I talked about this and decided that it’s more dystopian than sci-fi. We wanted to create an alternate version of our world where climate change has made it impossible to live outside, or so Kaia thinks. I think in dystopian, a writer can play with politics and economics and world building in a different way than in science fiction. HK: The scientists who created the City under a dome seemed to have good intentions after global warming brought disaster after disaster to their world. But, like the saying goes about good intentions, their decisions about the nature of the City including who should be allowed in and how relationships are structured, seem to be discriminatory and harmful. What message did you want readers to get about this new world? CN: The scientific minds that created the City were concerned with saving a species. They were intervening with natural selection, or maybe speeding it along, by only selecting people with disease- and ‘defect’-free genetics. We were thinking of a couple of things when we wrote Pulse Point. 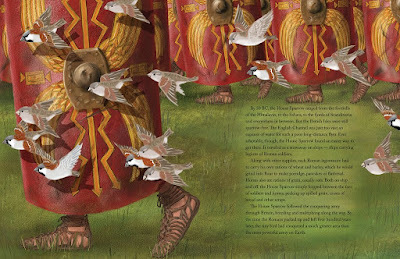 The first is the Spartan society where weak newborns were left to die because the city-state wanted to raise only the strongest soldiers (and have mothers who would breed the strongest soldiers). The second was the lack of humanity that a purely scientific-based community would develop. In the same way that AI (read Erin Bow’s excellent Scorpion Rules for more on this topic!) uses reason, not empathy, to make decisions, the City relies on efficiency. While the City’s decisions make sense at a practical level, they are harsh and inhumane. There is so much to discuss about the morality attached to embryonic testing and selection. You might have also noticed that there is no dance, art, religion or literature in the City. All of those things are considered unnecessary and a waste of resources. I’m really glad I don’t live there! HK: Because Kaia’s world within the City is very much dictated by genetic rankings in which features like blue eyes and birthmarks are considered defects, there is much discrimination. Even Kaia expresses this disdain for her newly-discovered brother who is blind. How difficult was it to have your characters express such negative thoughts and for you to write those ideas? CN: Kaia is a product of her environment, so her prejudices are a result of what she has been taught. The flipside is that the people she meets outside of the City do not have those same discriminatory ideas. The conflict that results lets Kaia grow to accept differences and see the value that everyone brings to a community. HK: Many young adults will be delighted to know that there is frisson of romance brewing under Pulse Point’s main plot. But with Lev and Gideon both in the picture, Kaia may have some choices to make. Did you always intend to have a romance as a subplot in Pulse Point or did it develop as your story took shape? CN: The truth is, I hate writing romantic scenes. There’s nothing more cringey than a cheesy kissing scene with awkward dialogue. It can kill a story and put a damper on good writing. Nancy was the one who pushed for more romantic tension and the creation of a love triangle between Kaia, Lev and Gideon. Like with most things, Nancy’s instincts were correct and I agreed to write it. This book went through so many drafts, characters and plots changed drastically with each one. The one thing that never changed was Kaia’s strength and determination as a female lead. We did not want her to be focused on her hunt for a mate, or a potential romance. We wanted this book to be accessible to male and female readers and to make sure the romance furthers the tension, but doesn’t make it seem that all female characters need a male-focused romance. HK: Readers will recognize that Kaia’s story is not over at the conclusion of Pulse Point. When you started writing Pulse Point, was it always your intention to have a sequel? 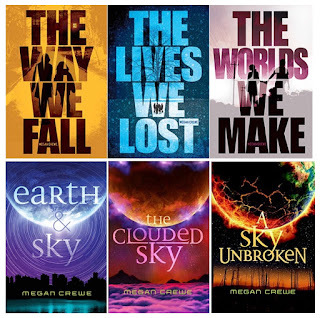 What plans are there for publication of a sequel or sequels? CN: At first, we envisioned Pulse Point as a trilogy, but our editor suggested we make some significant changes to the ending. Those changes altered our original plan from three books to two. 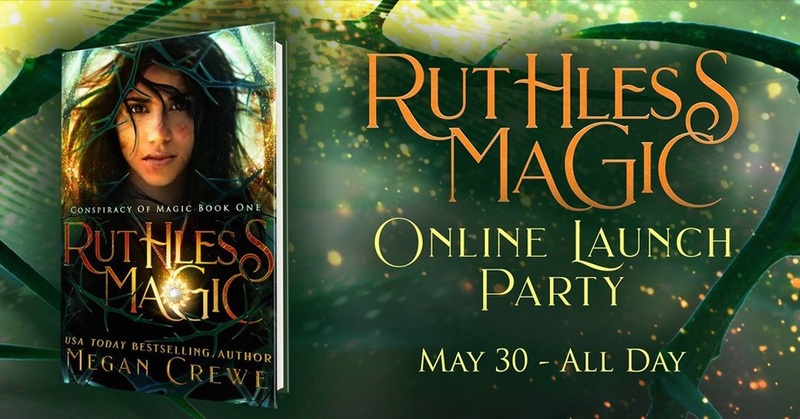 I’d love to write a second book and find out what happens to Kaia and Lev and the Prims. I think there’s more going on in the City than we know about and I hope it doesn’t take us another seven years to find out what it is! for talking about Pulse Point with CanLit for LittleCanadians. and to learn about the creative process. With global warming, many of us acknowledge that things in our world are going awry. Scientists have been warning about its consequences that include increased flooding, droughts, fires, mudslides and more, though it seems too few are listening now and in the world from the time Kaia's elder Mae (whom we would call grandmother) was much younger. But, in their world, when those impacts escalated and became dire, the scientists had prepared and created self-sufficient Cities run on the energy of its Citizens. Though the Citizens may not consider it to be a problem, happy to be safe under the dome of the City, the social constructs of their new home have been exclusionary and are discriminatory. Only people with the right skills and genetics are allowed to live in the City. Those excluded, called Prims (for Primitives), retreated to the Mountain outside, and the City is constantly on guard and setting Prim Threat Levels. Within the City, each Citizen is connected via a pulse point or microchip implanted in a forefinger to allow for monitoring of energy generation to ensure balance with energy usage. Kaia, who lives with her birth elder Sy, a gardener, and Mae, works as a fetal assessment technician (where defectives are identified for termination) and endeavours to generate extra energy at the gymnasium so share with the elderly Mae. Anyone who cannot produce sufficient energy must undergo balancing, the process by which the Council ensures the City stays in equilibrium. But Lev, the progeny of an Overseer, Kellan, a fallen hero, and Tar, a Councillor, is smitten with Kaia, though her genetic ranking is far beneath him. 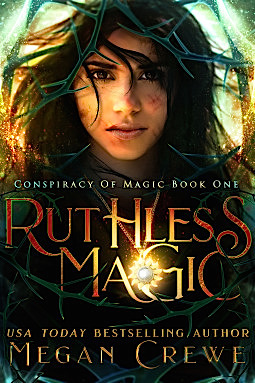 With Tar manipulating people and circumstances to ease Lev's path to becoming a leader, and Kaia's pulse point no longer working, essentially taking her off the grid, Kaia makes a decision that will take her from the only life and people she has known into a wilderness and on the run. 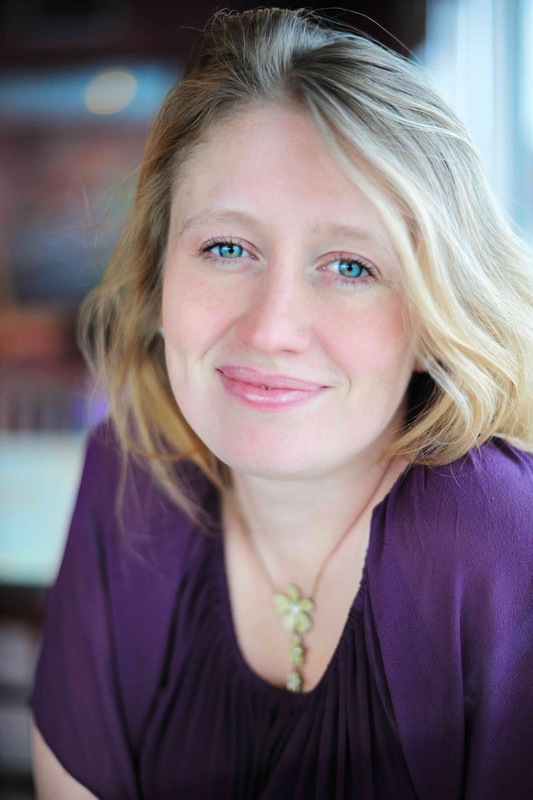 Colleen Nelson is well known for her dramatic YA fiction (The Fall, 250 Hours, Finding Hope, Blood Brothers) and Pulse Point is no less suspenseful in its story nor less powerful in its delivery. However, because it is her first speculative fiction and collaborative work with her sister Nancy Chappell-Pollack, Pulse Point reveals layers in characterization and world-building that are new. It's a tense read with all the attributes of great YA: relationship drama, interfering progenitors (i.e., parents), burgeoning romance, secrets, confusion, and conflict. But, all that takes place in a world in which stasis is achieved through the generation of energy and elimination of the unproductive, in which blue eyes are considered a defect, romantic matches are based on genetics, and everyone is monitored (a.k.a. linked) through their fingertips, making Pulse Point a bigger story. Look carefully and you'll see how Pulse Point's worlds could be our own. The two communities, one outside the City and the other under its dome, are a sharp contrast of old ways and new ways and the distrust and clash between the two is inevitable. 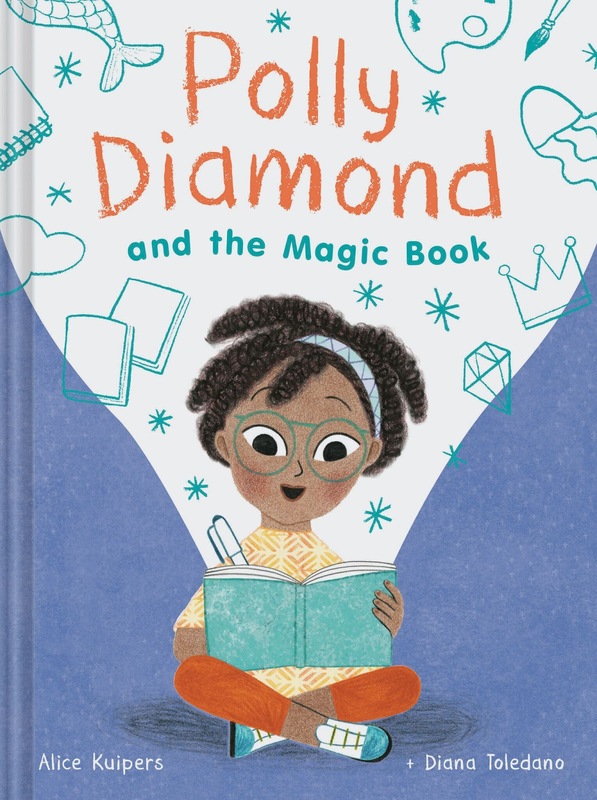 While Colleen Nelson and Nancy Chappell-Pollack resolve the story, revealing Kaia's origin story and secrets long kept hidden, they also leave a door open for a sequel. It's a good thing because there's still a whole new world that needs to evolve to make things right for Kaia and Lev, and Citizens and Prims alike. 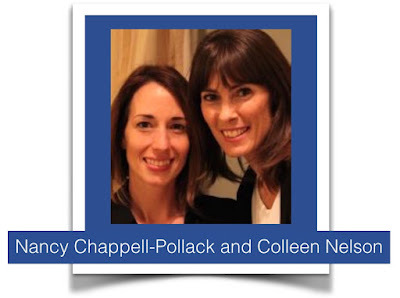 Check back tomorrow for my Q & A with authors Colleen Nelson and Nancy Chappell-Pollack in which they reveal much about their writing process and story lines from Pulse Point. Always an insightful discussion when speaking with Colleen Nelson, we learn more than any blurb on a cover could reveal! Kristin D. Van Risseghem - 9 a.m.
Olivia Wildenstein - 10 a.m.
Nina Walker - 11 a.m.
Alison Ingleby - 12 p.m.
Tessonja Odette - 1 p.m.
Tiki Kos - 2 p.m.
Merrie Destefano - 3 p.m.
Cordelia Castel - 3:30 p.m.
Jesikah Sundin - 4 p.m.
Kristine Schwartz - 6 p.m.
K.M. Robinson - 7 p.m.
C.L. Cannon - 8:30 p.m.
Julie Hall - 11 p.m. If you've been reading this blog for a number of years, you'll know what a fan I am of novels in verse. These are stories told in free verse form and the authors who do it well are highly accomplished at writing with impact and few words. I can now add author Heather Smith to that very short list of accomplished writers of novels in verse. And she is extraordinary. 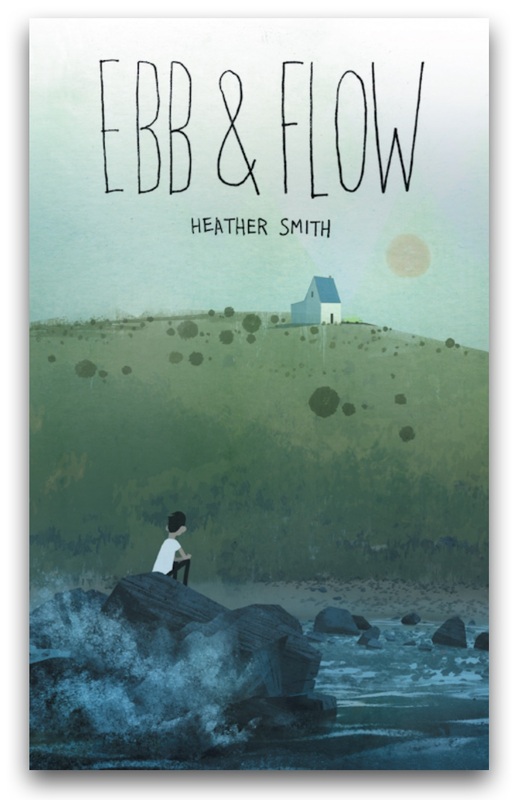 Ebb and Flow is the story of twelve-year-old Jett who has been sent to spend the summer with his Grandma Jo. Though he has been sent to stay with her because of a troublesome year, Jett is happy to see Grandma, having many positive memories about her before his move with his mother to the mainland. Wordplay is the dialogue between the two who love talking in puns, with Grandma telling her story as if she were a character in a series of anecdotes. Sadly, because of the mistakes he made over the past year, Jett sees himself as the villain of his stories, deserving of little goodness, including his grandmother's love. Even away from the negative influence of Junior Dawson, a bully and angry classmate, with whom Jett teamed up, the boy cannot shake the bad thoughts about people and the anger he harbours about his own actions. In titled chapters of only one or two page verses, Heather Smith subtly reveals Jett's history and the events that led to his relocation for the summer. In fact, Jett's character development is so subtle that the change in Jett from angry and confused boy to responsive and responsible is as inconspicuous as the tides that come in and go out. Why can't things just stay the same? Because life is like the tides. You just have to go with the flow, you know? The reader will sense Jett's progression in increments, as slow as when he and Grandma Jo creep along the beach looking for sea glass, and then he's there, asking to visit his father and telling his own story to his grandmother. 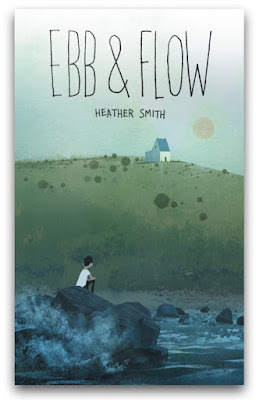 Ebb and Flow may refer to Jett's responses to the ever-changing circumstances that impact him, including his own choices and mistakes, but the book makes a powerful statement about resiliency and the power to ride the tidal motion of life. Sometimes you need a little help, like Jett gets from Grandma Jo who never pushes her grandson to come to an epiphany, though she helps him get there with her love and guidance. Ebb and Flow makes it clear that, with forgiveness to others and self, people and relationships can be salvaged and, like sea glass, taken from sharp edges to soft gemstones. I didn't find anything, I said. Falling asleep at night during the summer can be difficult in the Arctic because the sun never falls below the horizon, hence its moniker of "land of the midnight sun." Imagine being a little pup who knows she's supposed to go to bed with her boy but feels compelled to go outside and play. 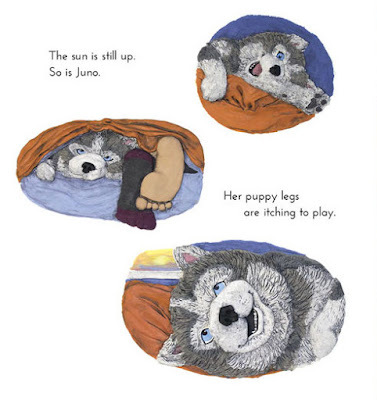 This is Juno, the Husky pup who lives with her boy in "a red house overlooking a faraway town perched on the edge of an invisible circle at the very top of the world." Juno, born in the spring, loves the sun and playing outdoors, though she yearns to be big like the sled dogs. But when her boy goes to bed, Juno isn't ready to sleep. The pup sneaks out to play but finds the world a strange place to be without her boy. "She feels like an iceberg adrift on a giant sea." 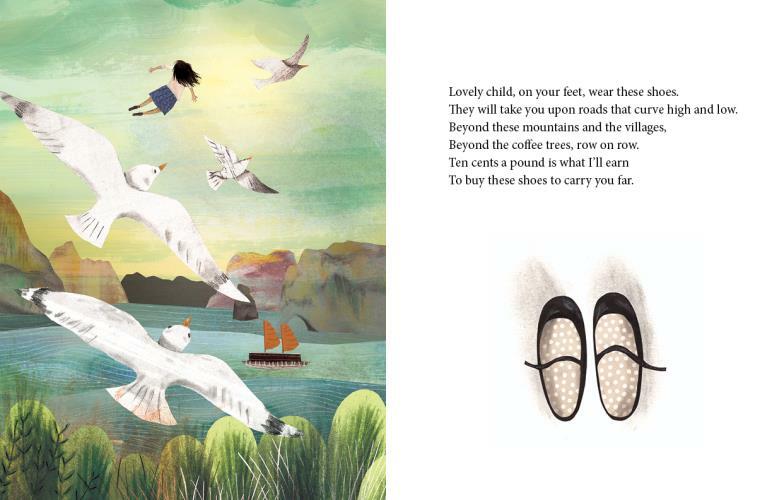 But when a polar bear approaches the house whose door Juno left open in her rush to go outside, the little dog finds a storehouse of courage within her big heart and is able to withstand her fear and give warning and, with a little help, keep her boy safe. Children will love the story of Juno as Sun Dog, not least of which because she is an adorable dog, thanks to Suzanne Del Rizzo's elaborate and emotive dimensional art. But I think that Deborah Kerbel's message that "Juno might be little, but there's a big dog inside her" is an meaningful one for young children who often feel too little to do anything significant and wish to be big so they can stay up late or go somewhere alone or just not be hindered by their youth or size. Juno takes it upon herself to do all those things, though she puts herself and others in danger. Still, that small body holds a big heart filled with love for her boy and life and from that a boundless courage bursts forth. Juno may have been frightened but she did all she could to ensure a happy ending. The joy of being outside and the beauty of the Arctic landscape are beautifully conveyed through Suzanne Del Rizzo's artwork. 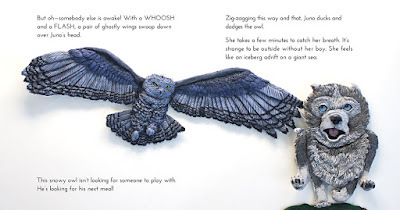 I've oohed and aahed over her polymer clay and acrylic paint art that graced her own My Beautiful Birds and other picture books and Sun Dog is no exception. Those summer skies of yellow, pink, purple, and blue, with many shades in between, took me to that land of the midnight sun and the home of children who rarely saw themselves in books. Within that landscape, Suzanne Del Rizzo brought playfulness and charm, with the reality necessary to tell Deborah Kerbel's sweet story. It's lovely for me to review books by creators like Deborah Kerbel and Suzanne Del Rizzo whose work I've seen transform and evolve with each imaginative work. 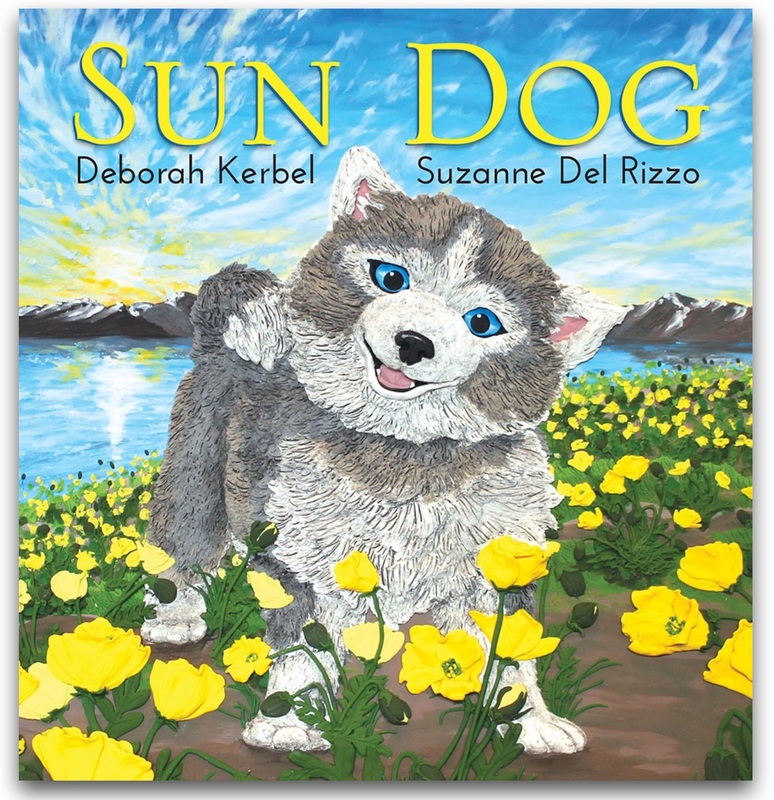 Now, with their collaboration, a charming story has been synthesized from message and art into the brilliant and heart-warming combination that is Sun Dog. 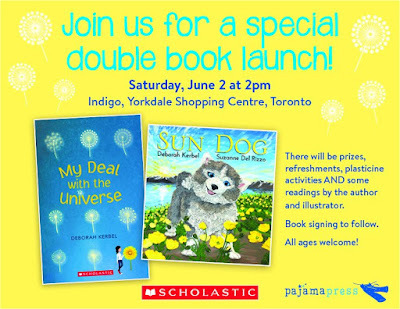 What's better than a book launch? Maybe "normal" isn't all it's cracked up to be.... All twelve year-old Daisy Fisher wants is to be normal — or at least to not stick out like a sore thumb. But growing up in the house disparagingly referred to as the “Jungle” makes that pretty much impossible. When your parents’ activism brands them as a nuisance and your house is overrun with vines and critters, it’s not so easy to fit in. And it definitely doesn’t help when the neighbours declare your family public enemy number one. Or when your best (and possibly only) friend leaves for summer camp and forgets you exist. Or when your twin brother’s cancer might be growing back. Will this be the summer Daisy changes things for the better? She can’t help where she lives, but if she could find a new friend, cultivate some courage, and figure out a way to keep her brother healthy, maybe life will finally be normal. Or will it? When her anxiety about her brother getting sick again threatens to boil over just as the Jungle comes under investigation, Daisy has to face down her greatest fears, not to mention the neighbours who are threatening her home. In the process, she learns some surprising truths about herself, and that maybe “normal” isn’t all it’s cracked up to be. 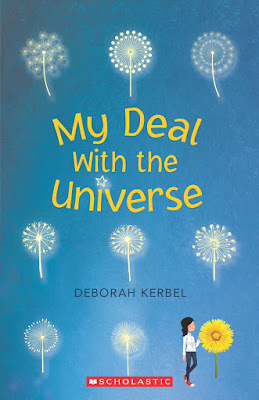 My Deal with the Universe is a contemporary middle-grade novel by Deborah Kerbel about tolerance, diversity, individuality, friendship and the strength of family. If Jan Thornhill's winning of the TD Canadian Children's Literature Award last fall for The Tragic Tale of the Great Auk (Groundwood, 2016) and Jess Keating's winning of the Blue Spruce award this week for Shark Lady: The True Story of How Eugenie Clark Became the Ocean's Most Fearless Scientist (Sourcebooks Jabberwocky, 2017) tell us anything, it is that picture books are as beloved for telling non-fiction as they are for entertaining young readers. 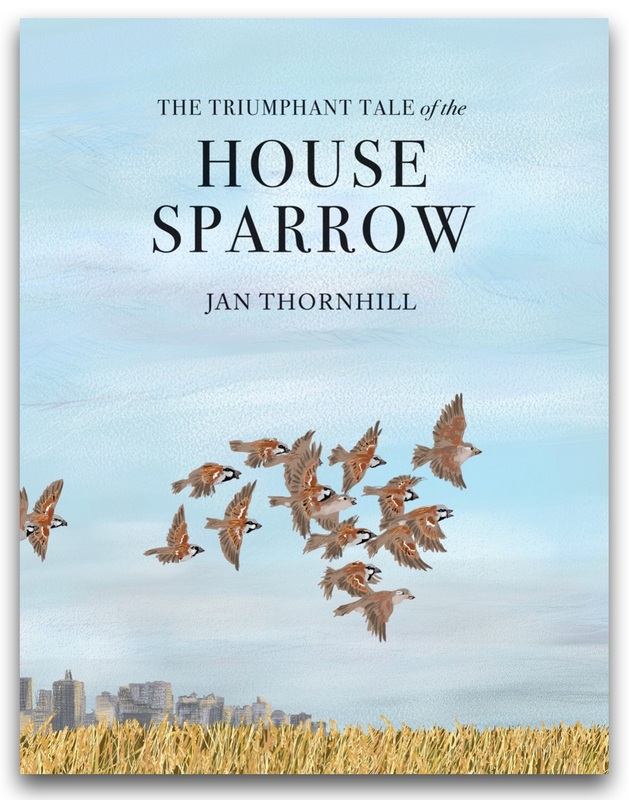 With her newest, The Triumphant Tale of the House Sparrow, Jan Thornhill again tells a compelling story of natural history which informs as well as entices us to learn more. 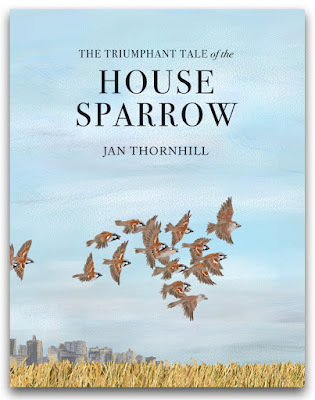 Jan Thornhill's story of the small brown bird which lacks flamboyance but teems with adaptability is a tale of survival, unlike that of the bird of her earlier book, The Tragic Tale of the Great Auk. 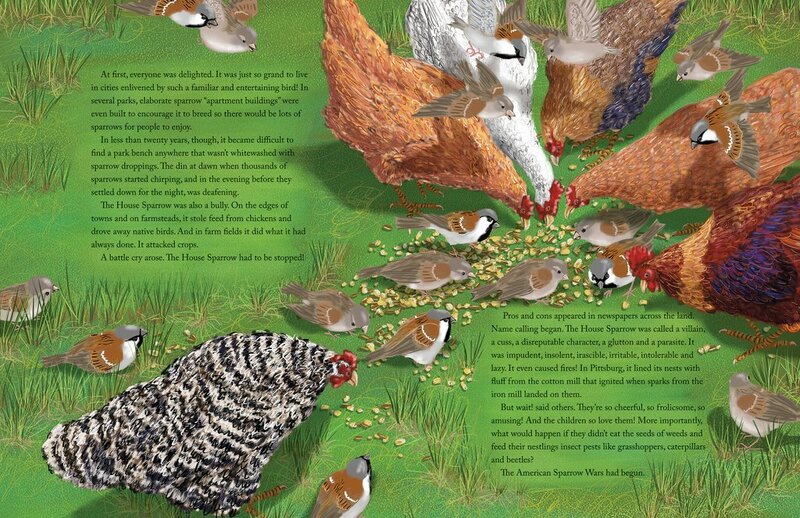 She begins by telling of the House Sparrow's Middle Eastern ancestor beginning to rely on grain as a food source and losing the need for migration. With the spread of agriculture, the House Sparrow was soon designated a pest for raiding fields and orchards and breeding far too quickly, aiding in its spread. The small bird became such a nuisance that bounties and laws were enacted to speed its elimination. 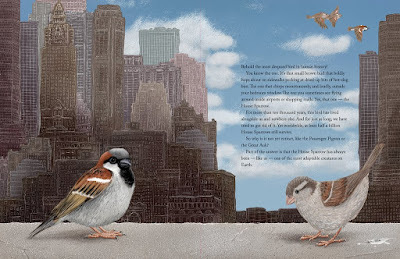 But migrating Europeans saw the House Sparrow as a resourceful reminder of home, and the bird was introduced to New York City in the 1800s and then across the country, multiplying far more than expected. Again the exploding population of House Sparrows coupled with its aggressive pursuit of grain pitted the House Sparrow lovers and haters against each other. However, it is the actions of humans which have had the most impact on the House Sparrow, though not always intentionally. With the onset of the automobile and the decline of horses, fed with grain, the House Sparrow's populations began to diminish again, and perhaps more so because of changes we've implemented in home construction, in farming, in keeping cats as pets and even in how we eat. Whether these impacts alone explain the decline of the House Sparrow is not known completely. But, it is certain that as much as the little bird may be an omen of our negative impact on the environment, it continues to find ways to adapt and survive. The Triumphant Tale of the House Sparrow may tell the bird's story of proliferation and decline as an piece of non-fiction, supplemented with a map of the bird's global distribution, an illustrated life cycle and a glossary, but it's Jan Thornhill's telling of that story that is the most compelling. 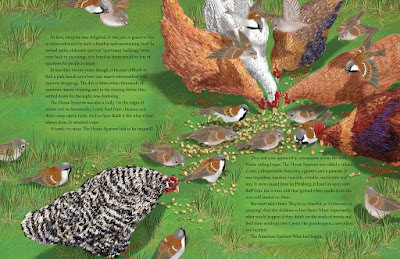 Told as a narrative and strengthened by Jan Thornhill's realistic illustrations, The Triumphant Tale of the House Sparrow gives us lessons in ecology and adaptation, in history and in the impact of humans on the environment, and will be a valuable addition to science classrooms and school libraries everywhere. It's so nice that Sarah Ellis and Kim La Fave's Ben who originated in Ben Over Night (Fitzhenry and Whiteside, 2005) has found a new home at Pajama Press. With its predecessors, A+ for Big Ben (2015) and Ben Says Goodbye (2015), Ben and the Scaredy-Dog solidifies the boy's place in guiding those in preschool and kindergarten to understanding more about the big world of siblings, change, friendships and dogs. 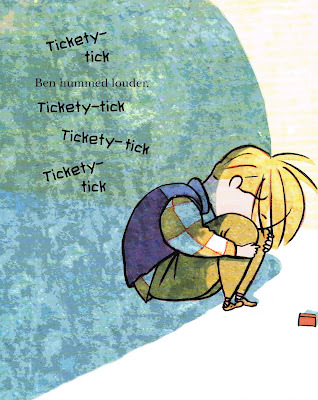 When Ben's friend Peter moved away in Ben Says Goodbye, the little boy was devastated, not knowing how he could continue with his routines and play. But Ben found the way to deal with that loss, and now he's ready to welcome a new friend–or so he hopes–into the house across the street and into his life. But, as much as he enjoys playing with the new kid, Erv, he is very apprehensive of their very big dog. Thankfully when the neighbours drop by, Max is on a leash. But when Ben is invited to their house where he anticipates the dog will be unleashed, the little boy is surprised to see the dog sitting complacently on a mat in the playroom. Poor Max has his own fears: he's scared of the unfamiliar and very shiny floors. When Erv gets called away, Ben reminds himself of all the things he'd learned about dogs so as not to provoke Max. 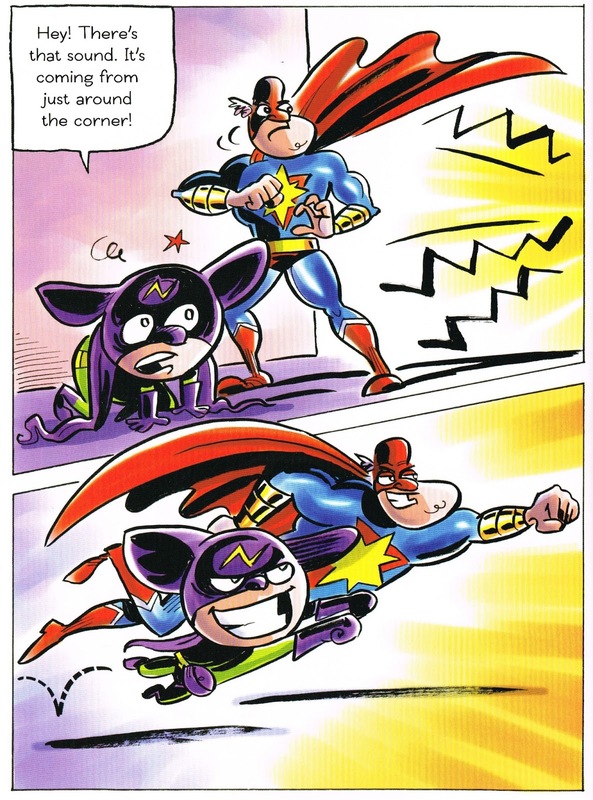 Fortunately, Ben's way of self-soothing works on Max as well and the two unlikely friends find a way to be brave together. Sarah Ellis demonstrates that children have enormous potential to learn coping strategies for all manner of fears and anxieties. 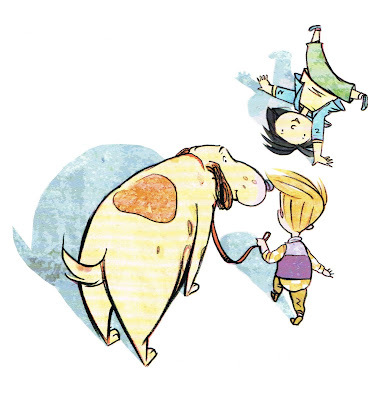 Ben's fear of dogs is valid, especially for very little children and very big dogs, but by comparing how Ben's siblings see dogs–Robin sees their playfulness, Joe sees them as loving creatures–with how the little boy sees them–"When Ben looks at a dog he sees jaws and teeth. That's a dog to Ben. Jaws and teeth. "–Sarah Ellis legitimizes all perspectives. Even the baby-steps approach to dealing with Max lends credence to the ability for children to learn how to cope while trying a multitude of strategies, including self-talk and mindfulness. 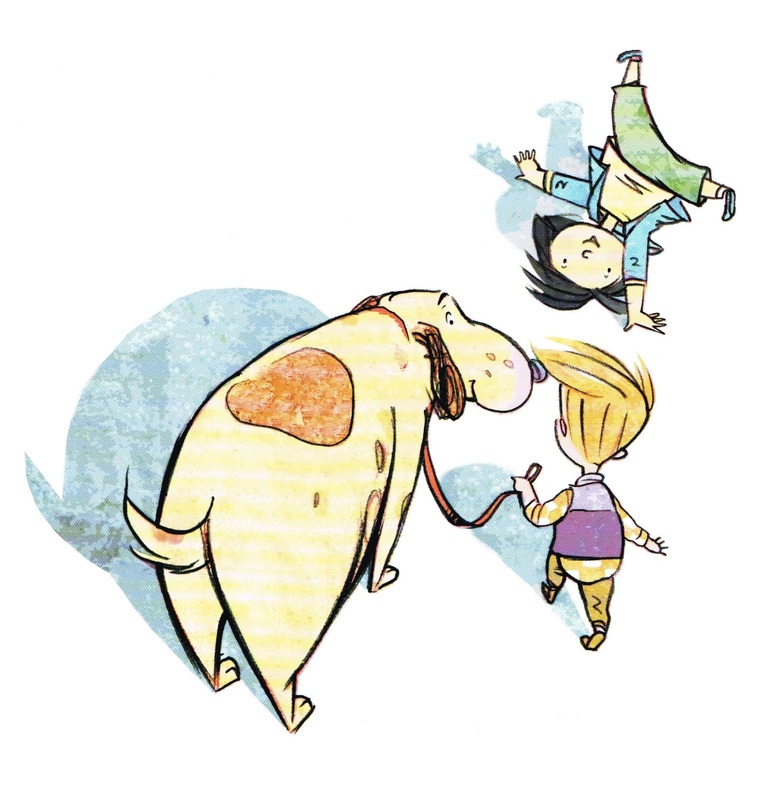 I love Kim La Fave's illustrations of Ben and company. His emphasis on perspective–looking up from a child's point of view and at their eye-level–encourages empathy for Ben's distress and concerns. Even with the bright colours of the kids' clothing and Max's soft expressions, Ben's fear is validated. 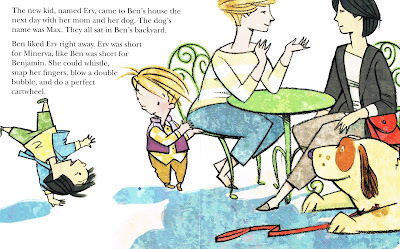 But, with that lightness of line and colour, Kim La Fave pulls together Ben's thoughtful personality, Erv's playful exuberance and Max's big puppy nature. 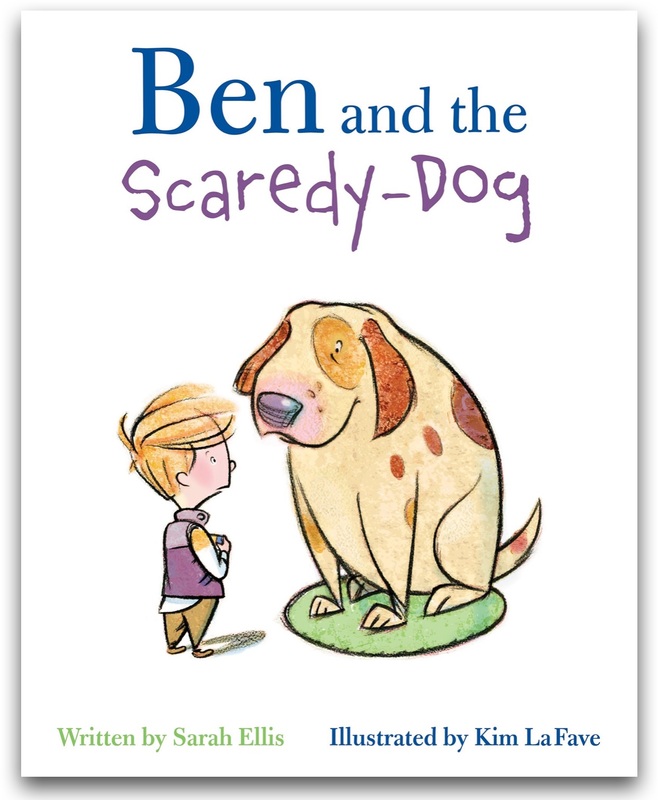 It's nice to know, courtesy of Ben and the Scaredy-Dog, that anyone can be scaredy-dog about something and that it can be lightened with a little help from inside and out. Celebrated cartoonist of the syndicated Reality Check and author-illustrator of the three Oddrey books (Oddrey, Oddrey and the New Kid, and Oddrey Joins the Team; Owlkids, 2012, 2013 and 2014) and My Think-a-Ma-Jink (Owlkids, 2009), Dave Whamond brilliantly applies his cartooning skills to a new genre, the graphic novel, and superbly masters it with the flair of a superhero and the diligence of a loyal sidekick. 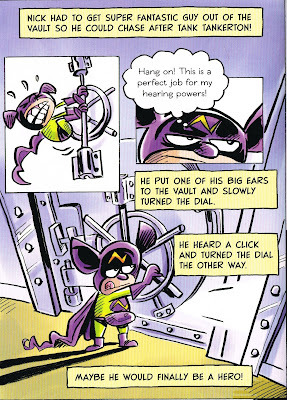 Nick is a superhero assistant with incredible hearing courtesy of his incredibly-large ears. Though his classmates may ridicule him, his best friend Tess always has his back. That comes in handy when you're the superhero assistant to the egotistic Super Fantastic Guy who wants to use Nick's super hearing without giving him the credit for his cleverness or contributions. Super Fantastic Guy can't even remember Nick's name, always calling him Rick, and even getting all his details wrong on his membership to the National Superhero Society. And Nick does not appreciate the lack of respect and his designation as a (sigh!) 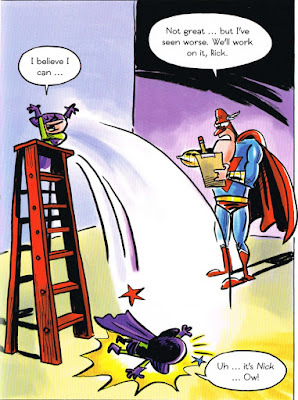 sidekick, especially considering he does all the crime-solving! But it's Nick who learns that he is the true superhero when he uses his super talent to save Super Fantastic Guy and let Tess help bring the egomaniac down a bit from the superhero pedestal he's always taken advantage to enjoy. As much as Nick is a superhero (he does have the card to prove it), he's really the anti-hero in that he accomplishes much good without the public recognition and even his partner's appreciation. 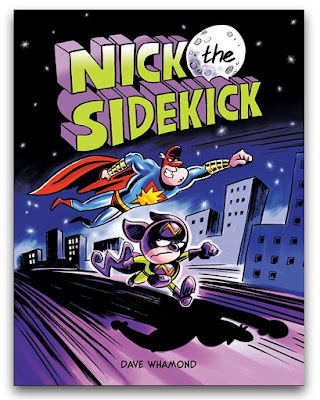 Nick is probably the antithesis of the highly-acclaimed superhero in that he doesn't parade himself in front of the public and demand accolades, though he would appreciate a little respect and for everyone to stop calling him a sidekick. Dave Whamond's artwork is made for graphic novels. Okay, I know it's also great for his cartoons and his picture books but, by applying it to storytelling in the graphic novel format, he can tell more story by creating action-packed plot lines that move with the force of his illustrations. There's movement and energy and kapow! 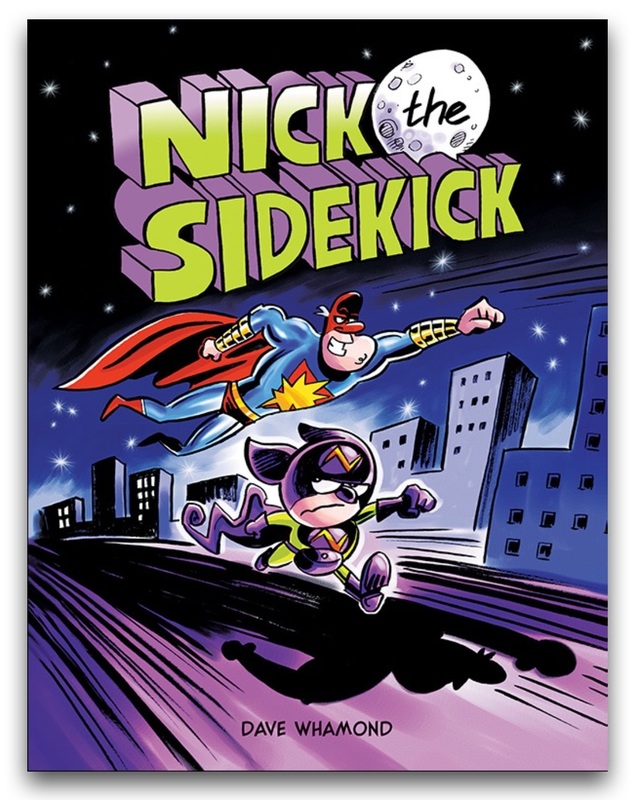 Nick the Sidekick delivers a punch in character and story and has just launched Dave Whamond's career into a different layer of the stratosphere, though we knew it was inevitable. As much as Nick can't fly and hates all the clichés related to superheroics, from the Spandex onesies and to the criminals' responses when caught, he's going to be joining Dave Whamond on that trajectory. Happy travels to our newest superheroes! 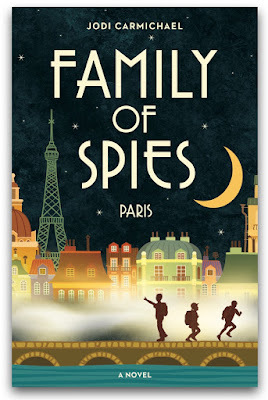 Today I'm reviewing Jodi Carmichael's newest middle grade novel Family of Spies as part of the book's blog tour. Please check out the others stops on the tour as listed at Chapter by Chapter Blog Tours and Promotions and enter to win a free copy of Family of Spies here. Most people who delve into their family histories are hoping for the unusual like connections to royalty, a hint of scandal or extraordinary accomplishment. But for most, the exercise of discovering family history details is more likely to be a slog and end in disappointment, since most people in the past lived lives of work and family with few opportunities for the exotic or the mysterious. Not so for the great-grandfather of thirteen-year-old cousins Ford MacKenzie and Ellie Whitaker and Ford’s older brother Gavin. Great-Granddad’s story would be the stuff of legends, if it didn’t have to be sealed. The MacKenzie and Whitaker families, from Canada and the US respectively, are meeting in Paris for a European vacation. Soon after their arrival, Ford begins to experience moments of déjà vu that seem to time-slip him into Nazi-occupied Paris during World War II. These episodes are especially emphatic when he touches any of the personal effects–letters, photos, postcards, bookmarks, etc.– in his great-grandfather’s briefcase. A visit to a psychic confirms Ford to be a clairvoyant who is able to connect to the past. Using a letter his mother received denying them access to Edward Crawford’s service records, Ford connects to that military office and sees his great-grandfather’s file identifying him as part of Special Operations Executive, a top-secret spy agency in operation during the war. But the three teens’ search at the military library alerts other forces to their interest in E. H. Crawford and soon Ford’s “visions” are not the only worries they have. Assessing the various materials in his great-grandfather’s briefcase, Ford determines that he can connect with Great-Granddad and would be able to envision what he was doing during the war by (re)visiting a café/restaurant, the Louvre, Notre Dame, the Eiffel Tower and several more stops. With each visit, Ford reveals more about his great-grandfather’s covert activities, as well as his fears and guilt for a mission gone awry. The story is very loosely based on Jodi Carmichael’s own grandfather whose military records remain sealed. By weaving family history with Ford’s supernatural ability to divine the past, Jodi Carmichael has created a multi-layered mystery that honours her family and entertains readers with intrigue, adventure, a bit of the fantastic and a history lesson like no other. Family of Spies also reveals much about family dynamics and reminds us that, like Great-Granddad’s records of spy activity, nothing is ever final, even in relationships modified by guilt or jealousy because forgiveness can unravel much. 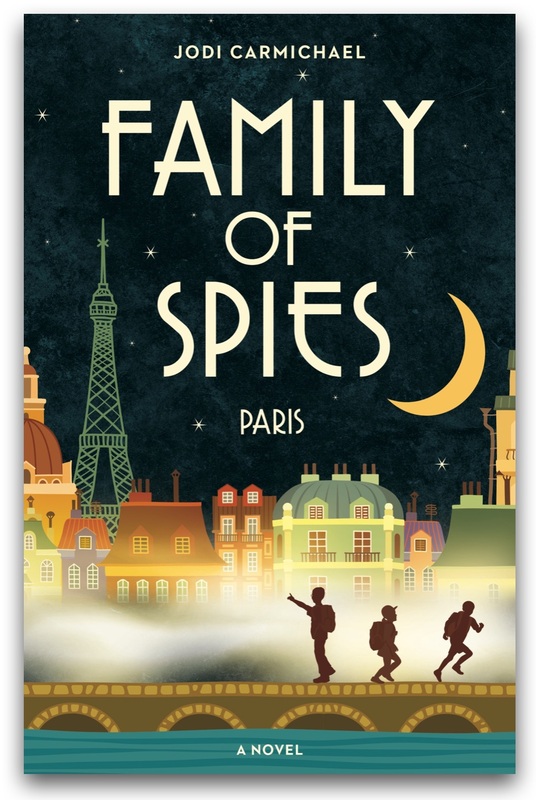 For young readers who enjoy an action-adventure story with a bit of history and the supernatural, Family of Spies will completely captivate and satisfy, and leave them anticipating Ford, Gavin and Ellie’s next adventures (fingers crossed) as the family continues their travels to London and Cairo. 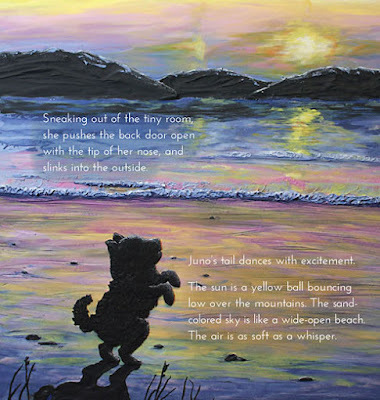 Jodi Carmichael’s dreams of becoming an author began to come true when she attended her first SCBWI conference in Los Angeles in 2007 and was nominated for the Sue Alexander Most Promising New Work Award. A champion for the underdog and kids who think differently, she wrote Spaghetti is NOT a Finger Food (and Other Life Lessons) (2013) which won numerous awards including a Gold Mom’s Choice and a Silver Moonbeam in 2013. In 2016 her novel about relationship abuse, Forever Julia (2016), won the Manitoba Book Award, the McNally Robinson Books for Young People Award - Older Category and received a Bronze Moonbeam Award for Young Adult Fiction - Mature Issues. From the acclaimed author of Macy McMillan and the Rainbow Goddess, a timely middle-grade story about the devastation of wildfires and the resilience of the human spirit. He’s a rescue, a mutt. Maybe there’s a little golden retriever in him, although he’s not exactly pretty. He’s had a run-in with coyotes and he’s missing an eye. 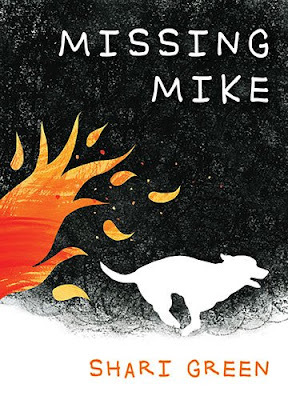 But Mike is eleven-year-old Caera Donovan’s dog, and they love each other absolutely. Usually her pet follows Caera everywhere, but on the day the family first smells smoke in the air, Mike becomes anxious. Pine Grove is in the path of a wildfire, and the family is ordered to evacuate. In the ensuing chaos, Mike runs off. And then the unthinkable happens; there is no time to search for Mike. They are forced to leave him behind. Shocked and devastated, Caera watches helplessly as the family drives through a nightmare, with burning debris falling from the sky and wild animals fleeing for their lives. Once in the city far from the burn zone, the Donovans are housed with a volunteer host family. Jewel, the hosts’ daughter, is nice, but Caera can only think about what she may have lost. What will happen if nothing is left? But as she reflects on what “home” means to her, Caera knows only one thing. She is not going to lose Mike. She will do what it takes to find him, even if it means going back to Pine Grove on her own. 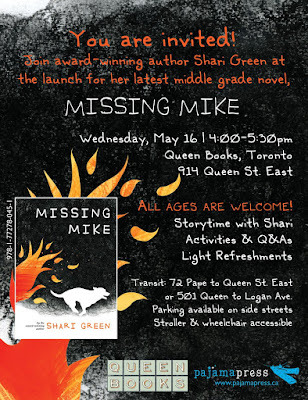 Retrieved on May 2, 2018 from http://pajamapress.ca/book/missing_mike/. I defy anyone to read Nhung N. Tran-Davies' text in Ten Cents a Pound and not be moved to tears by a mother's willingness to work at gathering coffee beans so that her child could have a better life. 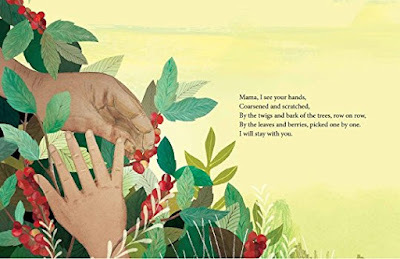 All the more poignant is the response from the child who recognizes her mother's struggles and does not want to leave her in order to pursue an education elsewhere. Their dialogue, told with love and admiration and respect, is the story of Ten Cents a Pound. By the leaves and berries, picked one by one. So begins Ten Cents a Pound, with a daughter seeing the toil of hard work on her mother's hands and her declaration that she will stay with her. Ah, but her mother will have none of that. 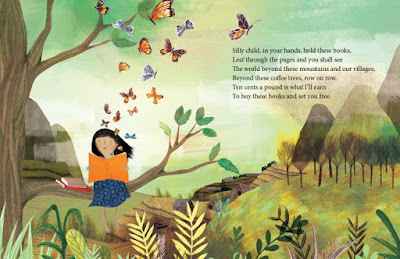 Calling her "silly child" or "faithful child" or similar, the mother asserts that she is working so that she might put books in her daughter's hands and set her on a life beyond their mountain and villages. Still the girl cannot see past her mother's pain and hardship and repeats that she cannot leave her. Always with great affection and fortitude, her mother vows that the girl will be set free with an education and must go beyond the confines of their village. Finally, the girl accepts the wisdom of her mother's wish for her future but contends that she will return. Though I cry readily, not all books move me to tears. Ten Cents a Pound did so. Many parents sacrifice much for their children, though those trials are not always acknowledged, but here a child recognizes that suffering and doesn't feel like she can accept the cost of her mother's unselfishness. I don't know if physician and author Nhung N. Tran-Davies, who came to Canada from Vietnam, ever witnessed this self-sacrificing love but Ten Cents a Pound is a testament to the determination a parent can have for wanting a better future for their child. This mother is willing to suffer the back pains, the harm to feet and hands, and declining eyesight and more just to ensure her child has an education and a better life. Award-winning illustrator Josée Bisaillon blends the realism of the mother-daughter relationship with a lightness that belies the gravity of their circumstances. The outdoor scenes of fields and trees are grounded in the earth but give rise to the green of dreams and expectation. 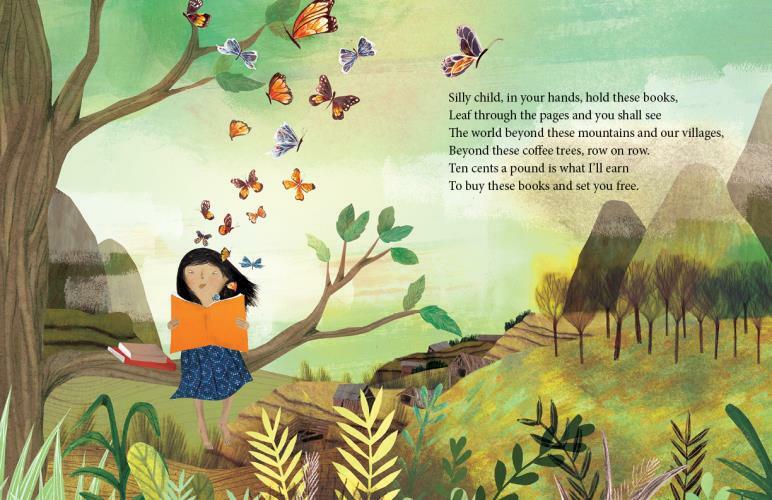 Even the fluttering butterflies and the child in flight suggest a journey of hope and ascendancy. 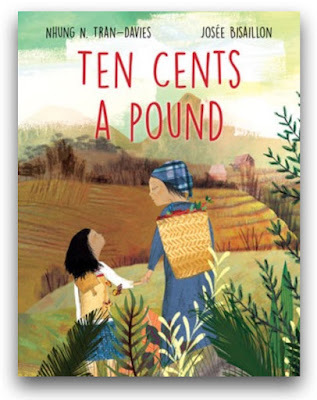 Ten Cents a Pound may be a tome that supports the idea of education as the means for freedom and advancement or a social justice story embedded in the coffee fields of Vietnam. But, at its heart, it is a dedication to mothers and daughters who are willing to offer anything to ensure a good life for the other. she has created for children to get them writing. Thank you for having me here today! 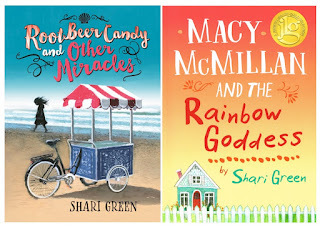 I love all your book suggestions and you always give me great ideas for books to share with my kids. In my new book, Polly Diamond and the Magic Book, my main character loves to write. This got me thinking about making a course for young writers, one that they could do with their parents or on their own online. I filled the course with PDFs and downloadable movies, and hopefully lots of inspiration for up-and-coming writers to get their words on the page. Here’s a peek at one of the steps on Character, that I thought I could share with you today. Your CHARACTERS are the people in your stories and poems. 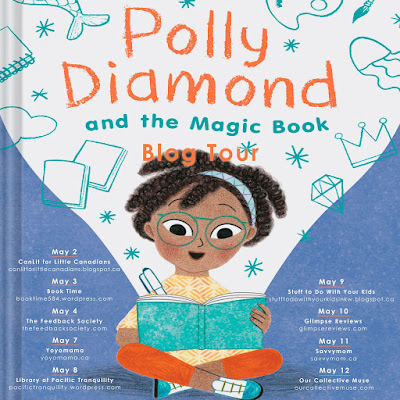 Here’s Polly Diamond! Other characters in the book are her mom, her dad, and her sister Anna, who Polly turns into a BANANA! As a super-star writer, you’re going to need to get to know your characters really well. And I’m going to show you how to do that! I loved making the course—turns out I could talk and think about writing books all day long. I have a black piece of fabric from Fabricland here in my house which I hung up behind me (very high tech at this end! ), so that the video content would be easy to watch, and tried to make the course as energetic and fun as possible. I thought of as many writing prompts as I could. Getting my four children to help out, I tested some of the ideas on them (mainly on the older two, who are eight and six, although my five year old surprised me with his storytelling! 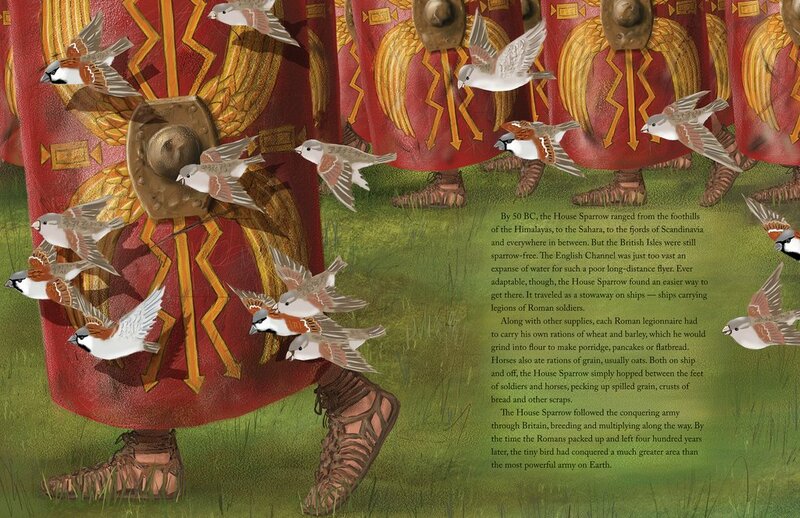 ), and then, I sent everything over to Children’s Book Insider. I’ve been working with them for a number of years, and I’m the teacher for two of their courses: Chapter Book Blueprint, and Middle Grade and YA Blueprint. They put everything together and the FREE course for Super Star Writers is ready to go. Hopefully you and your children (or your class) enjoy the course—please let me know what I need to change or add to make it even more fun for the young writers in your life. 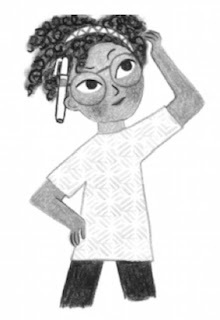 And for those of you who enjoyed getting to know your characters, here are the first ten questions from the character worksheet for you to enjoy with the kids in your life. You can try this with one character or with ALL of the characters in your stories! Draw a picture of your character—like the picture of Polly Diamond! Imagine you can sit down with your character and ask him or her questions. Question 3: What is your favorite thing to do? Question 4: What do you do when you first wake up? Question 5: What do you love to eat? Question 6: Do you go to school? If yes, what grade are you in? Question 7: Do you have any brothers or sisters? Can you describe them if you do? Question 8: Tell me about your best friend. Question 9: Do you have a secret? Question 10: Have you ever been in trouble? Thank you so much for letting me share my ideas about writing with you. to her publicist Susan Busse for arranging for this stop on the blog tour. and now get them writing too!